However, it is not an easy job to choose the best scope for your rifle. You need to understand what is going to fit perfectly on your rifle. Hunting has changed a lot with the introduction of new rifles. Hunter does not need to go near hundred yards of the target to shoot. They do not even need the iron sight to shoot. They can do the job from away using this hunting rifle scope. 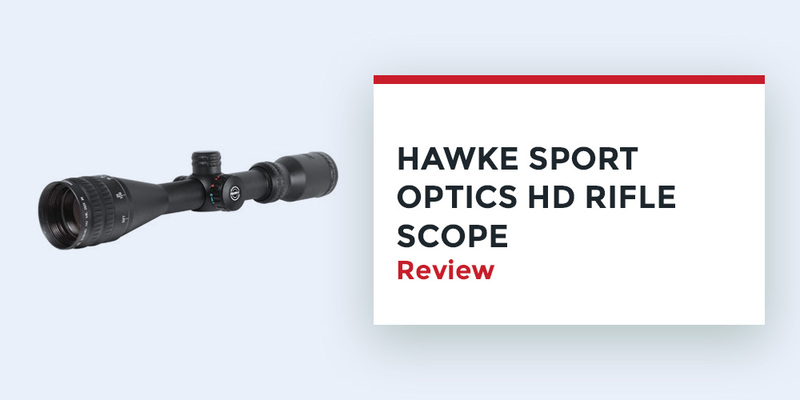 Looking for an excellent scope with wonder built quality, clear sight and accurate shooting ability, then the Hawke Sport Optics 3-9×40 AO Sport HD Rifle Scope is the perfect choice for you. This rifle scope comes with 3x to 9x magnification. You can zoom in and out for focusing the target perfectly. The adjustable objective lens is 40mm. The parallax adjustment setting is equipped properly to bring the target in the particular focal plane of the reticle at any range. The field of view is 39′ to 13′. You can perfectly zoom the target and lock it properly for getting 100% accuracy in shooting. This wonderful feature is a big bonus for a rifle scope under $100. The multicoated lens will provide you perfect vision of the target, whether you are hunting on the day or night. The light transition capacity is excellent with proper brightness. You will have a clear and high-definition vision of the target. The lens comes with fog and waterproof capacity. You can hunt in different weather. 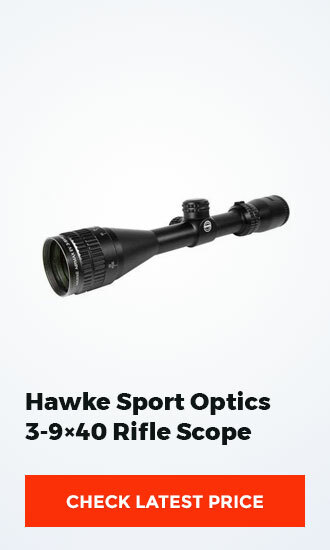 The Hawke Sport Optics 3-9×40 AO Sport HD Rifle Scope provides you wonderful optical performance for accurate shooting. With the ¼ MOA fingertip turret ad 30/30 reticle, you will have compact focus of the target. You can clearly see things within 100 yards. However, some people said it gets blurry over the range. But, every scope has its maximum range, so does this product. This rifle scope will improve your shooting by maximizing the accuracy. Hawke Sport Optics comes with some quality sport optics in a cheap price range. The body structure and the lens are made in a way that will last for long periods in a rough weather condition. The lens reduces the reflection internally and externally so that you can see things clearly. You can hunt for hours with proper eye relief without getting any visual problems. Will this Riflescope Mount on a Ruger 10/22? Yes, it will mount on Ruger 10/22 with the perfect rings. It will fit perfectly with medium height scope rings. I did with 1-inch rings for my Gamo Air Rifle Springer. It is working perfectly without any recoil damage. Q: Can this scope be used with 30-30 rifles? A: Yes, this rifle-scope is cleared to be used on all kinds of rifles to begin with. It is perfect for the Air-guns. They have two recoils. Using a scope is thus hard on them than normal rifles. So, if it is clear for air-guns, it should not be a problem. Plus, you have warranties on Hawke Rifle scopes permit you to change it even if something bad happens. Q: Does Hawke have Light Transmission Listed? A: No but the lens is pretty clear. You will find it in more expensive scopes. This is best and cheap rifle scope that can provide you all the excellent features to hunt accurately, then this Rifle Scope is the perfect choice for you. You will have a clear, sharp and accurate vision of the target with this rifle scope.